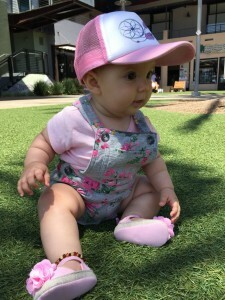 This baby slays me on the daily, but this number really was adorable! 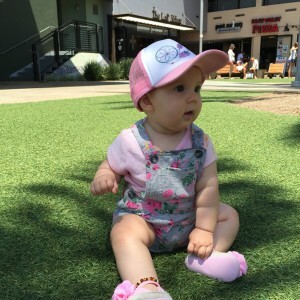 Wearing a pink snapback by Grom Squad and an overall set from carters, I was just melting. The baby flower bud sandals are by Stepping Stones and I found them at Marshall’s. 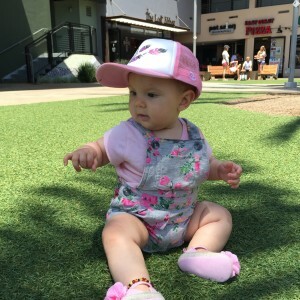 Of course Baby B is in her signature amber teething anklet to finish the look. This was taken in Cardiff on a very lazy Sunday enjoying the local market, lunch and some craft beer at The Lost Abbey Tasting room.